SAN MARCOS — Helping others find affordable means of housing is what’s driving one San Marcos native to pedal thousands of miles this summer. 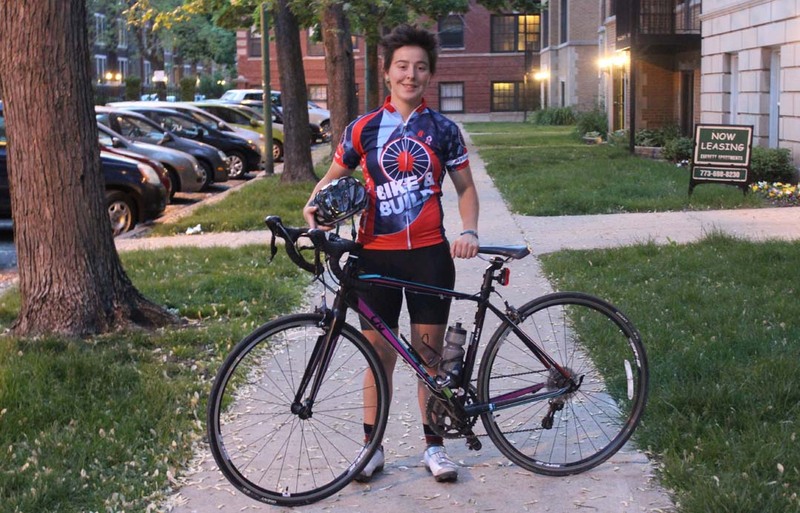 Jesse Newman, 21, is one of more than 300 riders to participate in Bike & Build, a project where participants ride thousands of miles across the country with the goal of fundraising money to rebuild affordable homes. In 2015, 370 riders rode more than one million miles and fundraised more than $637,000 to build 1,100 new homes. The riders also donated more than 25,700 hours to building them. Newman, who graduated from San Marcos High School, applied to participate in the program after volunteering with AmeriCorps for two years. The national service organization opened Newman’s eyes to the poverty that existed in the U.S., Newman said. The students who Newman mentored are just a few of the millions of Americans who may require affordable housing. According to the U.S. Department of Housing and Urban Development, those who use more than 30 percent of their income to pay for housing are considered “cost burdened.” It’s estimated that 12 million renters and homeowners in the U.S. spend more than 50 percent of their income on housing. Those statistics are what’s driving Newman to train for the intensive 4,000-mile ride from Portland, Maine to Santa Barbara, California. The project begins June 17 and lasts more than two months. To prepare for the project, Newman has been biking up to 50 miles per day since the beginning of the year. The San Marcos native also participated in two long-distance trips with one ride exceeding more than 180 miles. Despite the fierce training, Newman enjoys the sport. Newman also had to learn how to work on a construction site to participate in Bike & Build. The project required Newman to volunteer on Habitat for Humanity projects and become trained in using different tools, Newman said. Newman’s personal goal by participating in the project is to learn more about poverty while also educating others. But Newman also wants to share a message with others during the trip. “I want people to know that you can be the positive change in someone else’s life,” Newman said. To donate to Jesse Newman’s campaign, go to classic.bikeandbuild.org/rider/8537.